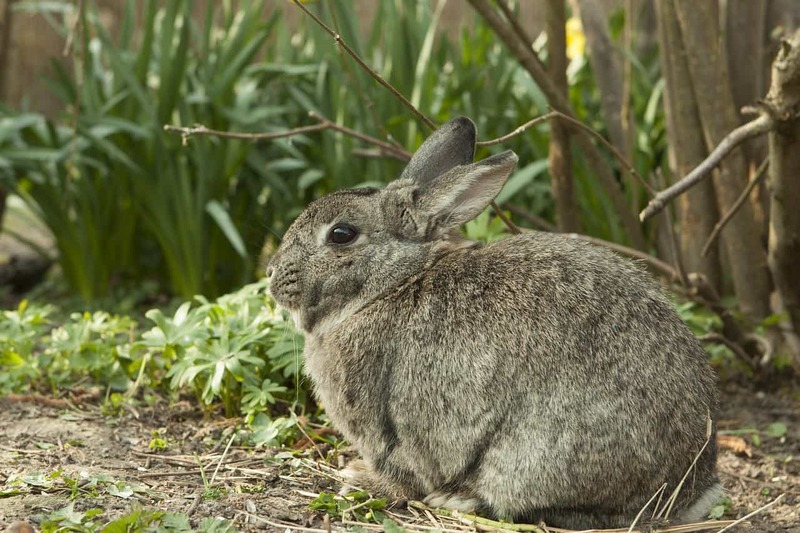 While rabbits are cute to look at, especially as babies, they can really damage both your vegetable and flower gardens. 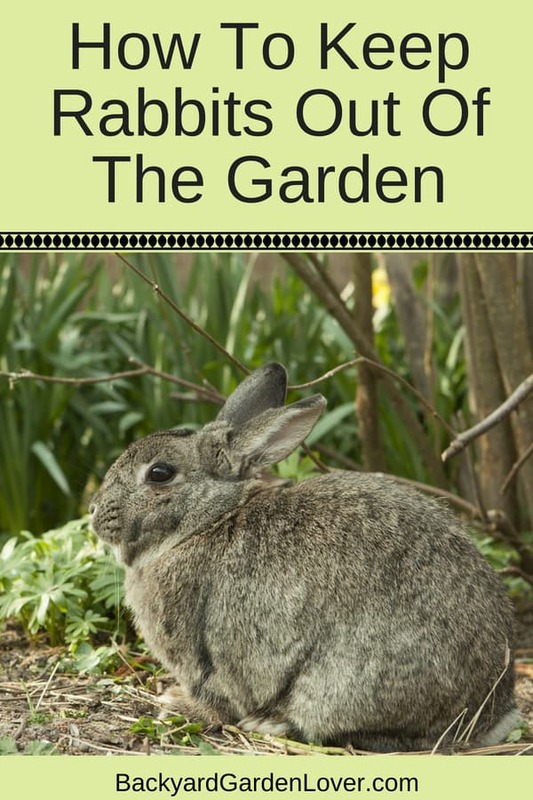 If you’re looking for how to keep rabbits out of the garden, I have some tried and true ways to keep your garden safe from rabbits. If you garden, you’re sure to have some garden enemies. As you prepare for your garden every year, keep in mind that if you plant the rabbits favorite veggies and flowers, they’ll come visit. What do they like? Lots of your veggies and flowers: lettuce, cucumbers, carrots, peas, asparagus, etc. If you plant any of these veggies, you’ll need to find ways to get rid of rabbits in your yard. I asked my Facebook followers what they do to keep rabbits away from the vegetables, and got lots of ideas. Check them out below. This is by far my favorite method of keeping rabbits away from my garden. 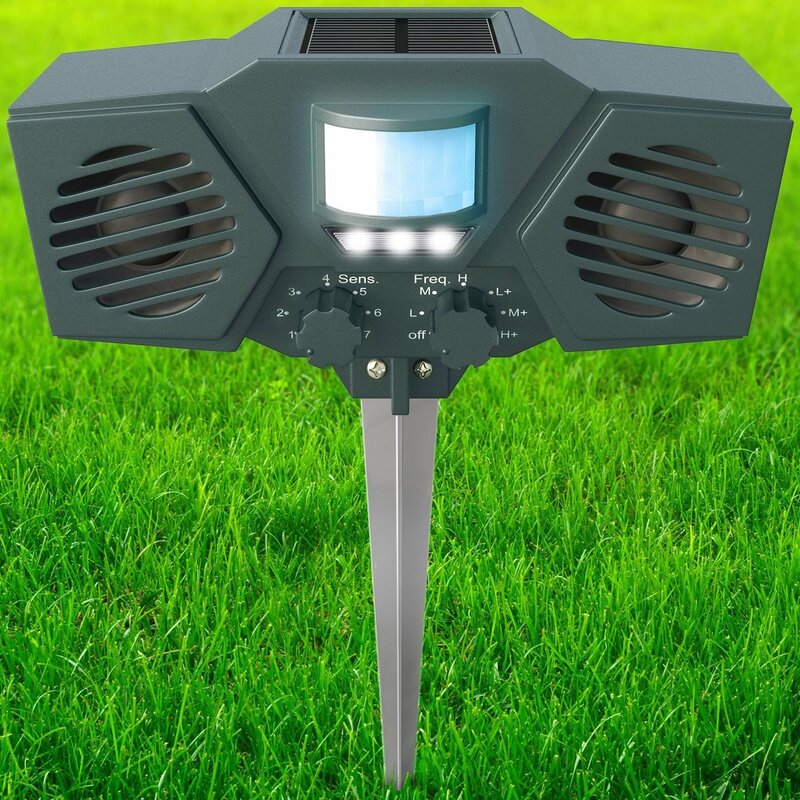 It’s inexpensive, and it not harmful to anything in my garden: just keeps critters away (not only rabbits, but also squirrels, skunks, rats, raccoons, mice and so much more. 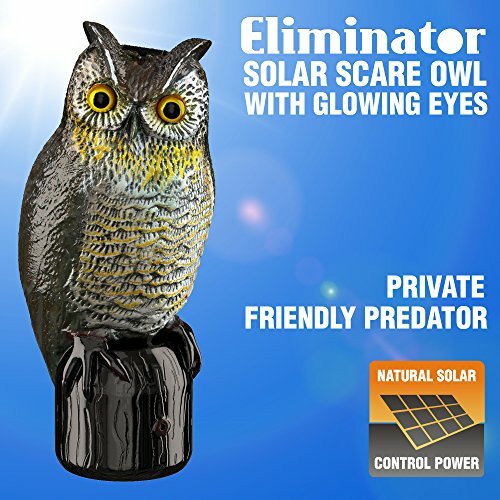 There are many models on the market today, but I prefer this solar battery powered ultrasonic outdoor animal & pest repeller – it’s motion activated, and makes it almost hands free (I prefer to move it around the yard occasionally to make sure I cover all areas. 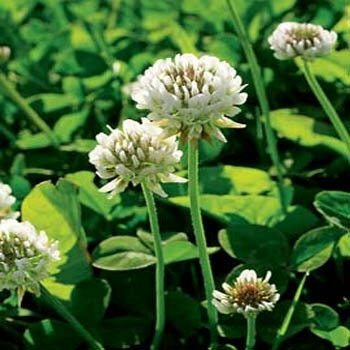 If you struggle with unwanted critters in your garden and around your home, you need to give this a try. Probably one of the most efficient ways to keep rabbits out of your vegetable garden is to build a fence around the garden. It doesn’t have to be too tall, unless you want to protect your garden from deer too. Chicken wire works well for this: just make sure you bury the bottom of the fence into the ground so that the bunnies can’t crawl under. A similar idea is to use floating row covers at night (that’s when rabbits love to roam the garden). Our beloved pets are very helpful in keeping bunnies out of the backyard. It’s not only the fact hat they’ll chase the rabbits away, but the smell of the dog or cat hair and urine is enough to keep them away. Rabbits will only stick around places where thy can take cover from predators. Keep your garden area organized and free of garden debris. Piles of leaves, rocks, dry plants, buckets, etc make it easy for the rabbits to hide. Also, get rid of tall grass and low bushes. There’s a product called Repels All. The smell keeps rabbits out and works for other critters too. You can also add used coffee grounds, egg shells, and banana peels around your garden and it seems to work for some. Using ground black pepper can work, and it will keep ants away too. 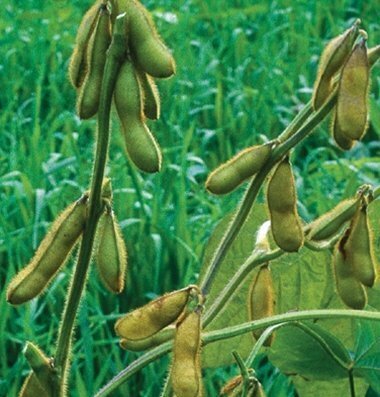 Use a natural deterrent for rabbits and small critters, like PLANTSKYD (it saved a friend’s roses and tulips last spring). Irish Spring bar soap: cut the bars into 4-6 pieces, wrap a string around it and hang on your garden fence low enough at rabbit level. You can also hang them on spikes near veggies. Or, place a piece of soap into an old sock and place around the garden. Try an owl decoy: rabbits are scared of owls. Use an old hose to wrap through the garden: it works surprisingly well. The bunnies think it is a snake, and no one wants to share space with a snake. Related: do you have squirrels eating your bird feed? Try one of these methods to keep them away from your bird feeders. This might be lots of work for some, and fun for others. 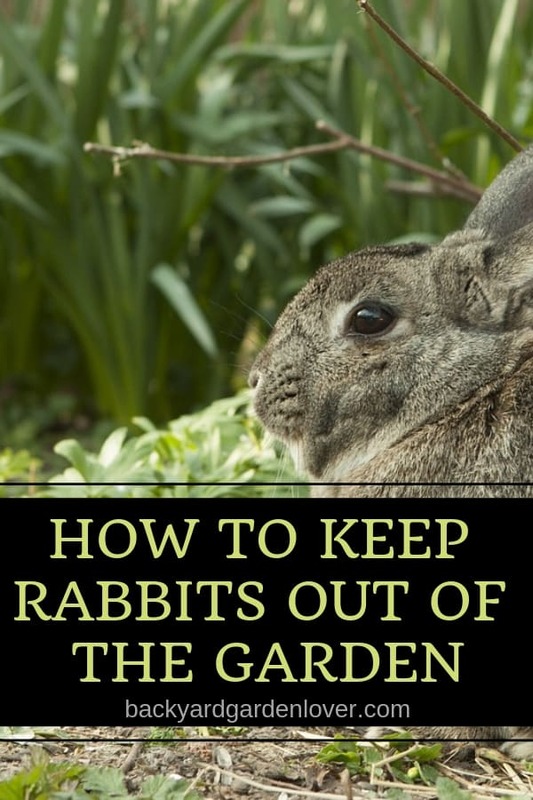 It’s not a one time method, so requires repeating periodically, as new rabbits move into your garden. If you decide you want to use this method, make sure you have a place to take your rabbits to, but more important, make sure it’s legal to do this where you live. Need a live trap? This one’s my favorite. What bait should you use for the live trap? You have a few choices: rabbit pellets, carrots or cut up apples. For some of us, rabbits bring a smile and we just want to coexist. Rabbits are hungry too, so we might put food out for them. Plant what rabbits want. Do it away form your garden, and you’ll be able to keep your garden safe and enjoy the little hoppers in your yard too. I hope you found here something that will, work out for you in your fight to keep rabbits out of the garden. If you use a different methods, please share in the comments: it could save someone’s veggie garden or flower beds. A rabbit got into our garden and devoured the marigolds we had planted there. So much for that one. Unfortunately, when there’s noting else, they’ll eat anything. 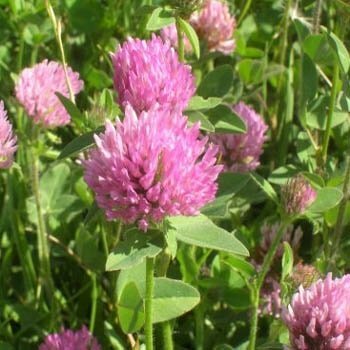 Plant a patch of clover away form your flowers and they’ll get busy there. I use Critter Ridder, which seems to help. Maye for some, but not for me. Planted Lavender because the bunnies didn’t like it but I can’t keep the bunnies out of my Lavender. They are eating it all. I must be the only critter lover here, and grows veggies and roses. I’d rather live with them, but of choose I prefer a garden not a yard. As far as the safe trap, I do not recommend that at all. You are trapping a prey animal and leaving it at night to he whim of predators. That situation can cause extreme injury and death to the rabbit. Im hoping that’s not the desired result. There is a device called THE SCARECROW. similar to the one the author mentions above. No harm to any wildlife. There are a myriad of beautiful plants that rabbits don’t like. You can always test a few before planting. I have my raised beds secured, but I share the bounty. I place a few leaves of romaine or red leaf or a few carrot tops tucked under the bushes late in the afternoon for the buns to find for their dinner. Seems to keep them happy. And I enjoy seeing them playing in the yard knowing their safe. I used chicken wire the first time and watched rabbits slide through it in a hurry. Next time I used a small meshband stronger wire and buried the borrom ss suggested. It WORKS!